Let me set the scene for you. You’re in a crowded bar and some bozo has been chatting you up for the past 10 minutes. Let’s call him Chip. The conversation isn’t amazing, but hey, you’ve had a few drinks and it’s a Saturday night, so you roll with it. He leans in, puts his hand on your lower back (ugh), and, while staring deep into your eyes with what you can only imagine is supposed to be a soulful look, says quietly, “You’re not like most girls I meet around here.” Record scratch. Freeze frame. Double ugh. We’ve heard it before and we’ll hear it again. “You’re not like most girls” is something that gets thrown around a lot, particularly throughout women’s teen years, their 20s, and 30s. It’s intended as a compliment, because who doesn’t like hearing that they’re special and unique? It’s natural to want to set yourself apart from others, particularly at an age when you’re still trying to figure out who you really are. I don’t blame anyone for wanting to receive validation and recognition as an individual. But what does this compliment really mean and what assumptions does it make about “most women?”At 25, it’s a phrase I’m no stranger to hearing. One might think that should make me feel all warm and fuzzy inside because, praise be, a man thinks I’m unique! Except, it doesn’t make me feel good about myself. Not only because I don’t think it’s a real compliment — I often hear it said to women around me. While seemingly innocent at first glance, these comments all share commonalities and subtle (or maybe not-so-subtle) implications: They’re intended to make the recipient feel unique for possessing a certain quality. (You like football? The most popular and highest revenue generating sport in the United States? Who would have thought? Totally crazy!) The compliment is focused on a trait or characteristic that’s typically not associated with women in general. (Out of 157 million women in America, it’s so hard to find one girl who likes and understands football!) They compliment the receiver while simultaneously putting other women down. Translation: You’re special because other girls aren’t. Let me be clear: I think it’s perfectly fine to compliment a woman and admire a trait or characteristic she displays. However, it’s not hard to say, “You like football? Me too! I love that we have that in common!” These things don’t have to come at the expense of other women. I’ve been accused of being overly sensitive and analytical when it comes to digging into these phrases. “Come on, Emma, it’s just a compliment! Lighten up!” And my response is the same now and it always will be: If you can’t tell someone you think they’re unique and special without putting down an entire gender, it’s not a real compliment. Call me crazy, but I believe these messages have the same effect, whether intended or unintended: they can cause women to disassociate their identity from other women. The most common characteristics I’ve heard used in this context are typically thought of as male-only traits: down-to-earth, analytical, funny, laid-back, etc. If these are the kinds of traits that “most women” don’t have, what kind of picture does this paint of the “typical woman?” Annoying, air-headed, unfunny, shrill, high-strung. Woof. I don’t know about you, but that doesn’t describe many of the women I know. 1. I was insecure about myself and thought the best way to fix that was to set myself apart from other girls. Neither of these are uncommon feelings for girls in high school to experience. Think about popular YA fiction and movies you’ve read or seen and tell me if this sounds familiar: There’s a quirky but cute bookworm who’s a little off the beaten path, pays no attention to social norms, and displays a high level of intelligence. She’s not friends with many of the other girls at her high school because she’s obviously not like them. She’s attractive at a base level, but maybe there’s something about her appearance that’s slightly disheveled or unkempt. She then undergoes some kind of makeover to score more cred with the popular kids. This might be seen as selling out, but hey, she gets the guy in the end! But don’t worry, she’s still uniquely herself underneath all that hair and makeup, and still not like (read: better than) the other girls. I think a lot of girls in high school resonate with this trope. While of course, I want more books and movies to have female leads who are smart individuals, I don’t think it should come at the cost of dumbing down and belittling other female characters. When this happens, it supports the stigma that being unafraid to be yourself and intelligence are mutually exclusive from how “most women” present themselves. It would have been nice if someone had sat me down at that age and told me that I should want to be like other girls and look for positive traits in the women around me, instead of wanting to be the girl who’s not like most girls. A lot of specific examples come to mind when I’ve heard other women try to build themselves up by putting other women down, and it makes me cringe every time. Maybe you’re reading this and thinking back on all the times you’ve made a similar sort of comment. I wouldn’t feel bad about it, but I would question the validity of your statements. A good way to stop this sort of thinking is to catch it when it happens and then challenge yourself to think of women in your life who you think share the same quality or trait. I would also explore other ways to make your uniqueness heard without having to put down other women. We can celebrate the characteristics that make us individuals without throwing down a generalized judgment on “most women.” When I think of the women in my life, I’m so proud of how smart and funny and creative and beautiful they are, all in their own ways. 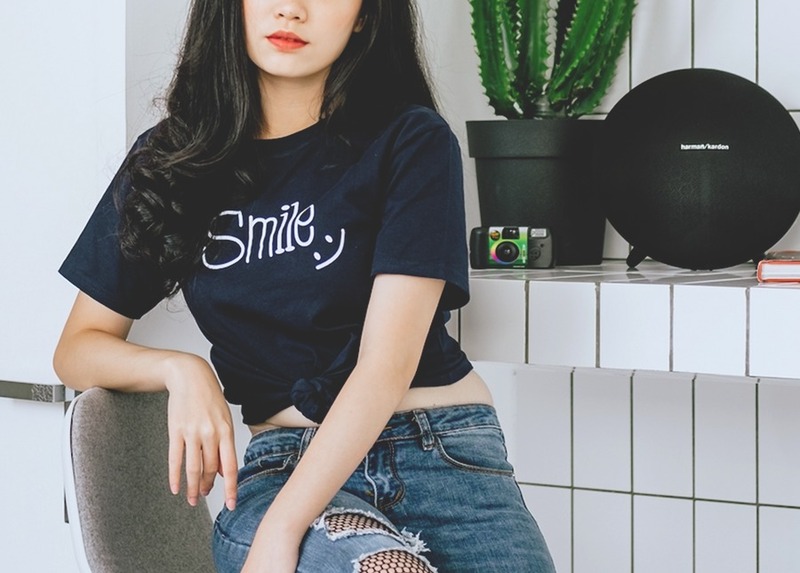 Instead of making life harder than it already is for women, why not work to turn around the stereotype of “most women” and focus on the positive traits? Let’s go back to that scene in the bar with Chip. He says, “You’re not like most girls.” I say, “That’s a shame, I try to be like most of the women I know.” Say goodbye, then walk away quickly. Emma Contreras is a writer based in Minnesota. You can find more of her writing over at www.boldnotions.com where she blogs about decisions women can make to empower themselves financially, professionally, and in their personal lives. Nowadays the term “intermittent fasting” is widespread. Behind the trend, however, there’s a big misconception about fasting. Anything under 36 hours is not fasting. We can talk about doing 24-hour fasts or following the intermittent fasting 18-6 program, where you restrict your eating period to 6 hours and fast for 18 hours a day — but those methods are not fasting methods. What most people call “intermittent fasting” is spacing mealtimes further apart. So a 24 hour fast means having one meal a day. You did not go a day without eating: you delayed your meal until the evening. Skipping breakfast and calling it “fasting” is also misunderstanding the concept of fasting. It just means that you’re having two meals a day instead of three. Fasting with juices or other foods is also not fasting: it’s merely a liquid or a calorie-reduced diet. As the name implies, “water fasting” consists of only consuming water and no other drink or food for a period that can range from 36 hours to several weeks. 36 hours is for most people the minimum to experience true water fasting because that’s when many people start to cross the threshold of ketosis. Ketosis means that your body will start to burn fat for energy instead of relying on stored glucose. Many physiological changes take place during true water fasting, but this can only occur once the body shifts to ketosis. The leaner you are, the less time it will take to shift your body to ketosis and enter water fasting territory. For many people, that’s 36 hours. But it’s never less than that. Full ketosis is achieved after 2-3 days of fasting. Note that some health conditions, like diabetes, advise against any fasting. But most people can safely fast a couple of days on their own, with some guidance. Longer (4-21+ days) are therapeutic and should only be undertaken in a specialized facility. There are very few such places to recommend. Today, I want to cover the 36-hour fast, because there seems to be very little reliable information on this subject on the Internet. The bodybuilding community has appropriated intermittent fasting, and they tend to follow it in a very unhealthy way. When done correctly, the 36-hour fast pushes the limits of “intermittent fasting” and can help you attain some benefits that only come with true, ketogenic water fasting. At the same time, you can incorporate this practice into your lifestyle without too many sacrifices. The most notable benefit of this fast is a stimulation of the parasympathetic nervous system, which is responsible for rest, recovery, digestion, and the reparative processes that occur during sleep. The opposite of that is, of course, the sympathetic nervous system, commonly responsible for “fight-or-flight” stress responses. Fasting promotes rest and recovery because the body views it as an emergency situation. But, it’s not the same type of situation as seeing a predator and running away from it, to use a cliché. It’s more a state of deprivation that leads to conservation of energy. Why is the body trying to conserve energy and what happens then? This is just the tip of the surface of what happens as you commence a fast. A fast resets the “button,” and the more practice you have at it, the easier it gets. For example, yesterday, I barely thought about food all day. The only moment where I thought about breaking the fast was close to 8 p.m. I then wisely decided to continue, because I knew that sleeping through a fast is the easiest way to go through it! Unfortunately, most of the people promoting regular short fasts are ignorant of the proper method of fasting. They recommend drinking coffee all day to suppress hunger and some even do big workouts on their fasting days. If you want to get the most out of a short fast, you want to view it as a “spa” day where you have nothing planned and can rest all day. For a 24-hour fast, you can go about your daily activities. But I suggest planning 36-hour fasts only on the days where you have nothing to do. Your goal will be to rest, take baths and naps, read and avoid all physical exertion! As for caffeine, it’s best to keep it to the strictest minimum. Best would be to avoid it altogether. But if you’re a regular coffee drinker and will get horrible withdrawal headaches, you can then drink some green tea (not coffee) in the early afternoon. Don’t drink it sooner to extend the period where your body is fasting at night because consuming caffeine interrupts some of the processes mentioned earlier. Drink water but not more than you feel like. Any purified water works. Avoid taking long sunbaths or other energy-depleting activities, like saunas. You might already know that the toughest part of a fast is in the afternoon and that quickly this feeling of tiredness will go away and that you will experience a sense of renewed energy and even euphoria after 5-6 p.m.
Then, the next step is to go to bed on an empty stomach. To me, that’s the most natural part of the fast! On the first day of fasting, I sleep much more profoundly than usual and time goes by quickly. For some folks, sleep is a bit lighter at first. People with sleep problems will sleep better during a fast, while good sleepers will experience more disturbed sleep cycles. Dreams tend to be different on the first night of a fast, as the body starts off this “para-sympathetic shift” to focus on healing and recovery. I don’t know how to describe it. They’re not the worst dreams, but they can be more vivid and colorful. Then in the morning, you can decide to stretch the fast a little bit if you feel like it or break it immediately for breakfast. I suggest sticking with fruit. Then eat as you would ordinarily for the rest of the day. Keep in mind that you may not feel completely normal for a few hours after you break the fast, as your body has not yet replenished its reserves. That’s why it’s probably best to break the fast for breakfast and keep it at 36 hours if you have things to do the rest of the day. After even just a short fast like this, you’ll find that you’ll appreciate healthy foods much more, and you can already reduce your dose of caffeine and make steps towards a healthier lifestyle right away. Frederic Patenaude has been an important influence in the raw food and natural health movement since he started writing and publishing in 1998, first by being the editor of Just Eat an Apple magazine. He is the author of over 20 books, including The Raw Secrets, the Sunfood Cuisine and Raw Food Controversies. Since 2013 he’s been the Editor-in-Chief of Renegade Health. Frederic loves to relentlessly debunk nutritional myths. He advocates a low-fat, plant-based diet and has had over 10 years of experience with raw vegan diets. He lives in Montreal, Canada. "The Myth of Diabetes on a Fruit Diet"
MONDAY, Aug. 27, 2018 (HealthDay News) -- Weight loss depends on eating fewer calories than your body uses up. But when you eat those calories could make a difference that you'll see on the scale. An Italian study found that you can boost weight loss by about 25 percent just by eating 70 percent of each day's calories between breakfast and lunch, including a mid-morning snack, and the other 30 percent as an afternoon snack and dinner. 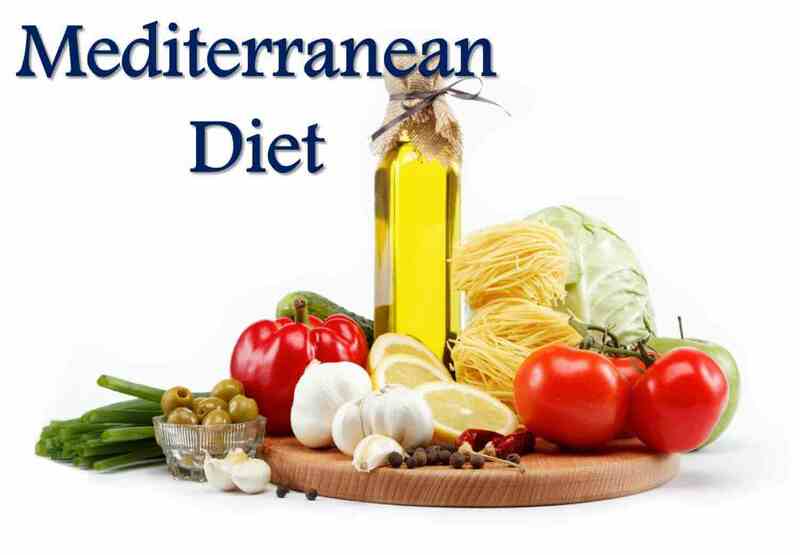 The researchers used the heart-healthy Mediterranean diet for their study. Participants all cut their intake by 600 calories a day. Their calorie breakdown was 55 percent carbohydrates, 30 percent fat and 15 percent protein, with over 30 grams of fiber daily. At the end of three months, the participants who ate 70 percent of their daily calories through lunch lost 18 pounds compared to 14 pounds lost by those who ate just 55 percent of their calories through lunch. Plus, they lost more body fat and used insulin more effectively, which can help ward off diabetes. It will take some effort to rebalance your calories, especially if you're used to eating more later in the day and evening. But the results could be more than worth the switch. Most of the foods you eat should be plant-based, such as vegetables, fruits, nuts and seeds. Use plant-based oils, notably olive oil in place of animal fats. Eat moderate amounts of dairy in no- or low-fat varieties. Eat low-to-moderate amounts of fish, less poultry and even less meat. Focus on fresh, seasonal foods when possible and try to eliminate processed and packaged foods. Quick question, been getting a mixed bag of answers from Google so I figured you guys could help. If it is possible to lose fat and gain muscle at the same time, as I've heard a million different things. If it's even something I should worry about at the moment, or If I should just keep going hard on getting my bf% way more down before I even mess with lifting. Thanks for your time :). Die Islamisierung schlägt zurück! Noch gestern feierte Heinz-Christian Strache seinen Erfolg bei der Bekämpfung einer muslimischen Zeltstadt auf einem Wiener Weihnachtsmarkt. Doch jetzt muss der FPÖ-Chef eine schockierende Entdeckung machen: Ausgerechnet bei einer FPÖ-Veranstaltung wurde ebenfalls ein muslimisches Zelt errichtet. 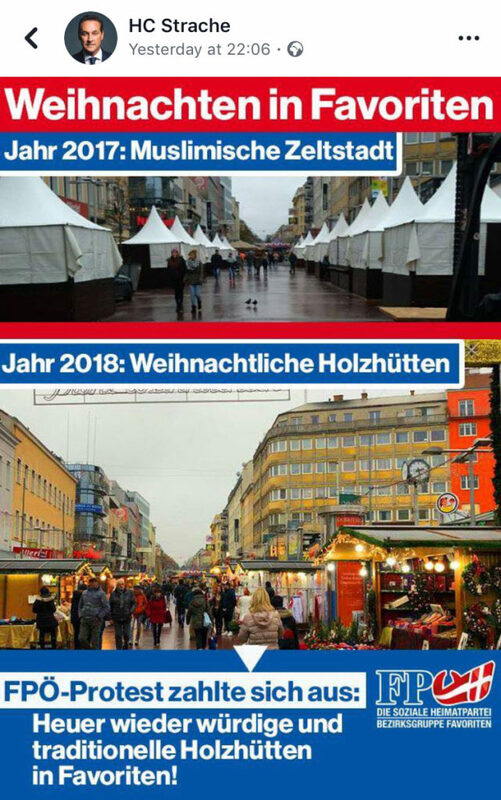 Der Fund wirft die Frage auf: Ist der Islam noch zu stoppen, bevor er Weihnachten endgültig zerstört? Alle Artikel jeden Morgen in Ihr Postfach. Doch die Feierlaune ist heute Bestürzung, Schock und Fassungslosigkeit gewichen. „Es ist unfassbar, dass jetzt sogar FPÖ-Wahlveranstaltungen von muslimischen Zelten unterwandert werden“, so Strache schnaufend, während er von seiner Assistentin mit Bildern von Wiener Schnitzel, arischen Kindern, und Wiener Schnitzel essenden arischen Kindern beruhigt wird. Johann Gudenus und Christian Höbart von der FPÖ-internen Sturmabteilung schritten nur Minuten nach dem Fund zur Tat, rissen das islamische FPÖ-Zelt ab, übergossen den Haufen mit Benzin und zündeten alles mit FPÖ-Feuerzeugen an. Einer entsetzen Augenzeugin zischte Gudenus „Frohe Weihnachten“ zu. Zufrieden verlässt die FPÖ den abgebrannten Stand. „Weihnachten – das ist für mich ein brennender Christbaum, besinnliche 3,8 Promille und besinnungslose häusliche Gewalt. Das lassen wir uns nicht nehmen von den barbarischen Moslems“, gibt sich Strache kämpferisch. Doch dann muss das Interview abgebrochen werden. Ein FPÖ-Informant berichtet von einem weiteren, gigantischen muslimischen Zelt in der Gegend des Zirkus Roncalli. Strache eilt wortlos mit 53 FPÖ-Feuerzeugen in der Manteltasche davon. A food maker is rolling out a new cereal brand intended to foster digestive health via three key ingredients. Battle Creek-based Kellogg Company said today it is now selling HI! Happy Inside cereal, which was developed by dietitians at the company’s W.K. Kellogg Institute for Food & Nutrition Research. “This new cereal provides a proactive real-food solution to people who want to incorporate more prebiotics and probiotics into their diet,” said Aleta Chase, marketing director, HI! Happy Inside. HI! Happy Inside features a blend of fruit, yogurty pieces and whole grains. It comes in three flavors: strawberry, blueberry and coconut. Probiotics are complementary, live bacteria. HI! Happy Inside delivers 1-billion CFU live probiotics from active strain. Prebiotics, which are soluble, fermented fiber, help feed probiotics, which are “good bacteria” for the gut. HI! Happy Inside has 2.5 grams of prebiotics. Fiber is a nutrient that acts as an agent to help contribute to digestive wellness and overall health. HI! Happy Inside contains 8-9 grams of fiber. The cereal is available in 34.5-ounce re-sealable bags at Costco and Boxed for the suggested retail price of $12.99. Six-cup packs are available on Amazon with a suggested retail price of $13.99. Individual cups will be available nationwide for the suggested retail price of $1.99 in early 2019 via food, drug, mass and e-commerce channels. Founded in 1906, Kellogg Company (NYSE: K) offers more than 1,600 foods, including cereal, crackers, savory snacks and frozen foods. Kellogg had 2017 sales of about $13 billion, down from $14.8 billion in 2013. Mussels are wonderful as is when steamed, but they are far more engaging in a full-flavored Thai curry broth. They are extremely high in protein and low in fat, yet it never hurts to add a bit of healthy fat into the pot for flavor, nutrients and a nourishing balance. Not only do they contain generous amounts of iron and zinc, they are rich in Vitamins A and B12 – nutrients which are undoubtedly important for a gluten-free/Paleo way of life. Plus, it is said that they help to improve brain function and energy levels – we’ll take that any day! It is helpful to know that 20 to 50% of the mussels’ weight is the shell, that’s why you will be choosing 4 to 5 lbs. of fresh shellfish. And the peak season for mussels is from October through March, making it a great fall and winter food source. If you’ve never cleaned and debearded mussels before, now is the time to accept the chance, or challenge, whatever you want to call it. Put the mussels in a colander in the sink and run cold water over them, using a scrubbing brush to remove sand, barnacles, or seaweed. Remove the “beards” by tugging with your fingers or by using a knife to gently scrape it away. If any mussels are cracked, or open, discard them – only cook what is alive! 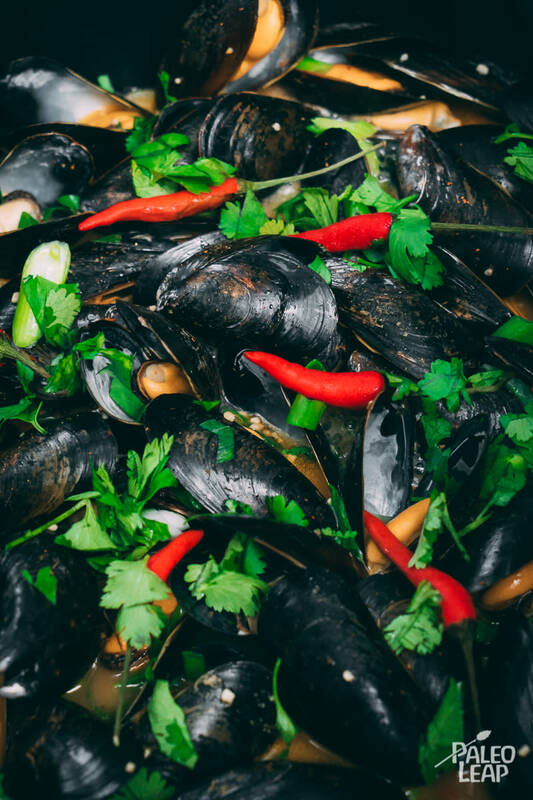 We deeply believe that Thai flavors enhance the flavor of mussels, though if you are in the mood for something simpler, mussels in white wine sauce will certainly hit the seafood spot. Values are per portion. These are for information only & are not meant to be exact calculations. Heat the coconut oil in a large skillet over medium heat. Add the garlic and green onions, then cook until fragrant. Pour in the white wine and cook until dissolved by half. Pour in the lime juice, fish sauce, and coconut milk. Add in the curry paste, hot pepper, and cilantro; stirring everything together. Bring to a light boil and add the mussels. Cover and cook 6 to 8 minutes, stirring every few minutes. Serve mussels with the sauce and extra cilantro. P.S. Have a look at Paleo Restart, our 30-day program. It has the tools to let you reset your body, lose weight and start feeling great. + The Paleo Leap Meal Planner is now also available. Put your meal planning on autopilot! You've heard that eating clean can give you more energy (in life and at the gym), and can help you lose weight and keep it off, but how do you get started? Amanda Meixner (known as meowmeix on Instagram, has over 925,000 followers for good reason! She shares practical, relatable, and simple nutrition tips that make sense and are easy to incorporate into your daily life. Amanda recently posted about clean eating, and wrote in her caption, "While changing your habits is definitely challenging, baby steps in the right direction can really add up!" Whether you're looking to lose weight or are just trying to clean up your diet, here are three simple steps you can begin right now to start eating clean and head in the right direction. To make it easy, here's a two-week clean eating plan to help you incorporate these tips. Tamra Judge, "The Real Housewives of Orange County" star, has abandoned the keto diet. Judge started the popular diet in August and quit after a month, citing she "fell off the wagon" and experienced the "keto flu." The keto flu, a well-known side effect of the regimen, occurs when dieters experience influenza-like symptoms such as fatigue, dizziness, and constipation. From Whole30 to Paleo, these days there's a diet for everyone's taste. 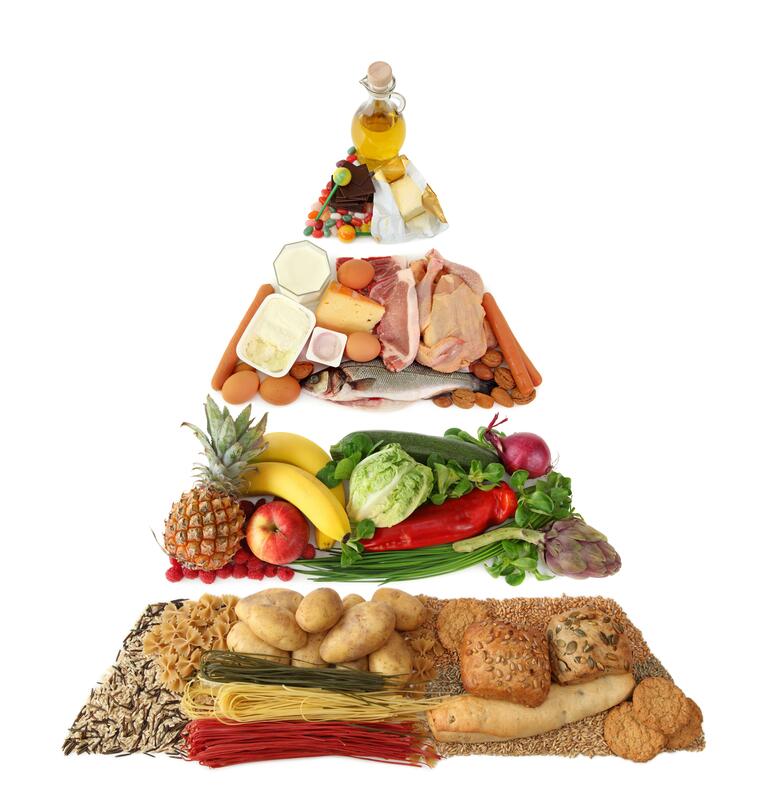 The latest fad to sweep audiences is the Ketogenic diet, which is a low-carb regimen high in proteins and fats. The popularity of the keto diet has transcended to popular celebrities, with everyone from LeBron James to Halle Berry endorsing its effects. Most recently, in August, Tamra Judge, star of BravoTV's "The Real Housewives of Orange County" and serious health and fitness enthusiast, was the latest influencer to become a keto diet advocate. Sharing with her 1.4 million followers, Judge posted on her Instagram stories the news. "Hey guys [I'm] walking to the gym, but I wanted to say something. So many people ask me about the keto diet, and I just started it, so if anybody has any good recipes, please send them my way. I'm curious to see if this diet really works." A month later, however, Judge denounced the keto diet, claiming that it made her sick. For one month, Judge said she stuck to the rules of the keto diet. But she bailed on the regimen when it caused her to develop symptoms of the all too common "keto flu." Speaking again to The Feast, she said, "They say there's this keto flu you get, and I just I fell off the keto wagon." Keto flu is when individuals suffer from the same symptoms as the common flu: a headache, fatigue, body aches, and dizziness. As the body adjusts to your new diet, it can leave you feeling unsettled and nauseated. After some time, your body will adjust and enter ketosis, a mode in which it's forcing itself into breaking down fatty acids for functioning rather than burning carbs and sugars for fuel. Judge, however, said that if your body isn't in ketosis, you're just eating "a s--- load of calories." "The problem is it doesn't work. You have to put your body in ketosis and if you don't, then you're just eating a s---load of calories. You have to put your body into ketosis for it to work, and then you burn the fat. But if you're eating carbohydrates with that and sugar — all you're doing is eating a whole lot of calories. You know what? It's not gonna work. I think people don't quite understand how the keto diet works."